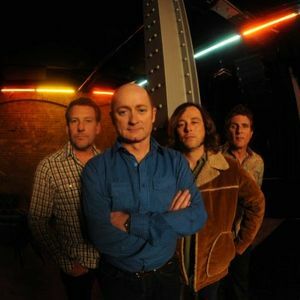 Running Times- Gates - 12:00pm Scott Darlow - 12.45pm The Getaway Plan - 1.45pm British India - 2.45pm The Superjesus - 3.55pm Eskimo Joe - 5.25pm You Am I - 6.55pm Hoodoo Gurus - 8.25pm *Note all times are approximate & subject to change. PERMITTED ITEMS- You may bring to the event: 1 x Sealed still bottled water (Reminder soft drink & other non alcoholic beverages not permitted.) A Camp Chair / Small Picnic Rug 1 x Small Esky Snack Foods only A Non-Professional Camera (No Long Lenses) PROHIBITED ITEMS- BYO Alcohol Soft Drink & Non Alcoholic Beverages except sealed still bottled water (non-carbonated) Metal water bottles Umbrellas Shade Structures & Tents Trolleys Pets Glass, Cutlery & Sharp Items, knives (inc cheese knives) or bottle openers Offensive Clothing Aerosol Cans Note: Patrons found to be inside the venue with BYO Alcohol will be ejected without refund. Patrons found attempting to bring BYO Alcohol into the venue will be refused.